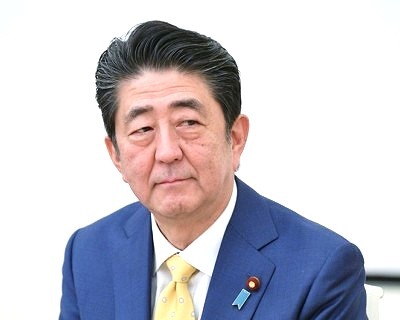 A statement on the spread of Japan’s sovereignty over all the territories of the Southern Kuriles, the Prime Minister of this country, Shinzo Abe, could make, demonstrating his disagreement with the position of Russian President Vladimir Putin on this issue. Such an opinion in an interview with Duma TV was expressed by the first deputy chairman of the Committee on International Affairs, a deputy from the United Russia faction, Svetlana Zhurova. “Undoubtedly, there was a meeting recently between Putin and Abe, and, apparently, at this meeting, he (Abe. – ed.) Did not like what the President of Russia said to him, and he told him, in general, what he was talking about all our people: that the Kuriles are Russian territory and will not be any different, ”said Svetlana Zhurova. “Yes, we will negotiate within the framework of legal international law, nothing more, and the territories will remain ours. We can talk about sharing, many other things, signing a peace treaty, ”the deputy stressed. “We have seen how people even reacted to the idea that the Kuriles could not be Russian territory, what a rush this caused in society, how many appeals received, including State Duma deputies, during that time. And the position of the president at these negotiations was clear and understandable. I think that the Prime Minister of Japan, most likely, didn’t like it very much, ”Zhurova said. On Wednesday, January 30, Japanese Prime Minister Shinzo Abe said that Japan insists that this country’s sovereignty applies to all the northern territories, meaning the southern Kuril Islands.